It is hard to imagine what the world would be if online applications such as Skype and Kazaa did not exist. Yes, it’s practicallytough to pass even a day without utilizing the vast benefits that these apps offer but little does anyone know that the mastermind behind them goes by the name of Niklas Zennstrom. The quiet Swedish entrepreneur is the man responsible for providing millions with benefits of Skype along with many more such applications, which make sharing and connecting with our loved ones only easier. 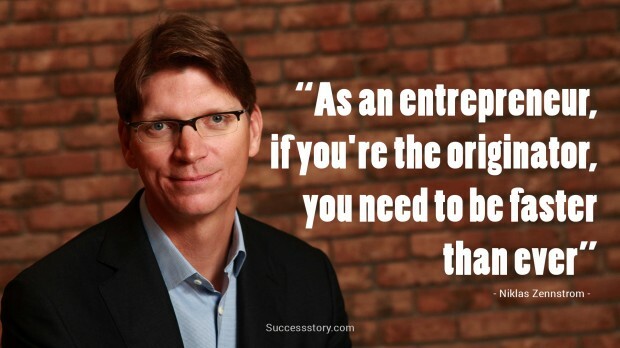 "As an entrepreneur,if you are the originator,you need to be faster than ever"